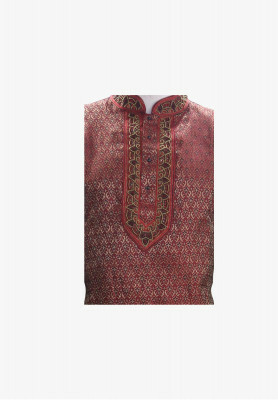 "Indian Katan Panjabi with Karchupi Work for Men". 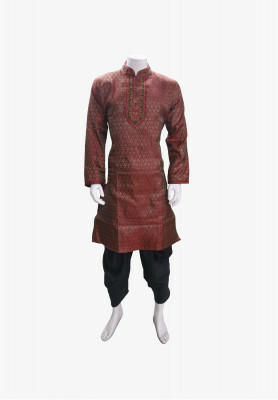 "Beautiful Indian Katan panjabi for men, with rich Karchupi and stone work on body. Comes with three colors, maroon, blue and deep golden. 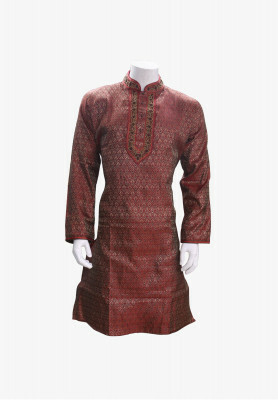 Maroon and golden border work on collar, comes with monjuri buttons.Great for attending wedding receptions".